BRYAN EATON/Staff photo. 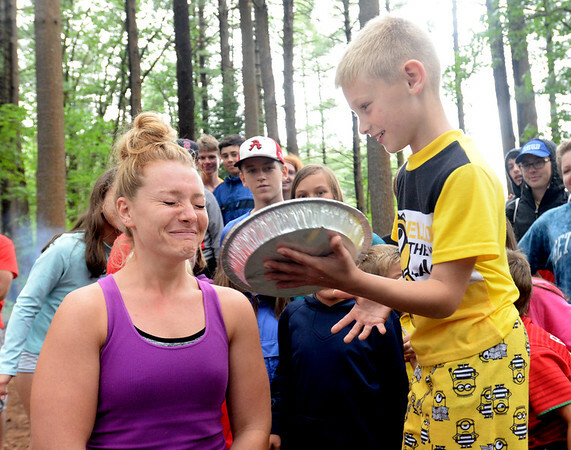 Camp counselor Heidi Hansen prepares as Harrison Amaral, 9, delivers a whipped cream pie to her face at the Camp Kent Nature Center in Amesbury where several programs for the Amesbury Youth Services are held. It's tradition that if a camper has a birthday while at camp, they get to deliver a pie to the CIT or counselor of their choice.